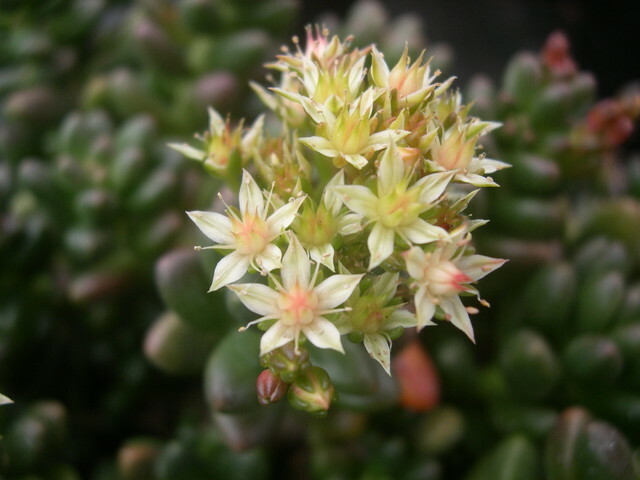 Sedum cremnophila x Sedum furfuraceum. Shiny dark green leaves that turn dark red in sun. Light yellow flowers lightly scattered about the plant in summer. Stems have rough bark similar to that of crocodile skin, thus the name.